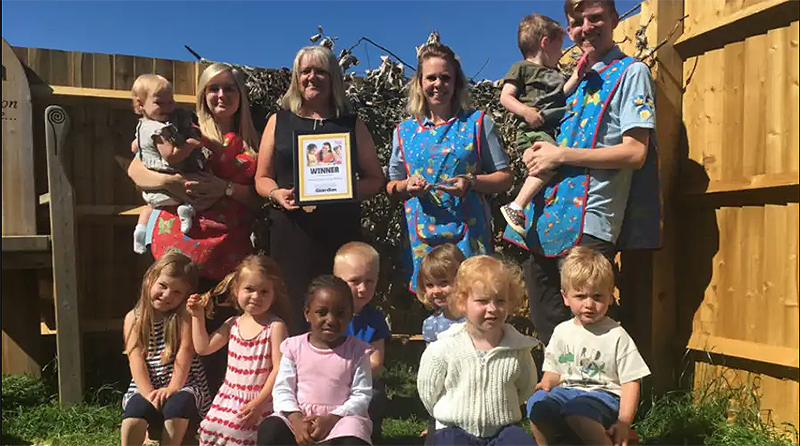 There are seven nurseries shortlisted for the Best Independent Nursery in the National Nursery Recognition Awards and Banbury School Day Nursery is one of them. Banbury Nursery was chosen as a finalist from over 1,000 entries. “We are very excited to have got through to the final and this is extra special as this will be the year of the nursery being open for 30 years. How far we have come since then!” said nursery director, Andrea Brooker, when speaking to the Banbury Guardian. The nursery was founded by Anita Higham. Anita, a head teacher at the then-called, Banbury School, noticed that parents needed help with childcare while they were at work, and opened a nursery. The nursery was recently voted ‘Banbury Guardian Nursery of the Year, 2018’. The National Recognition Awards recognise the childcare providers and community members who work hard to provide the best childcare possible. The winners are decided by a public vote and will be announced at Athena in Leicester on 26th January 2019.